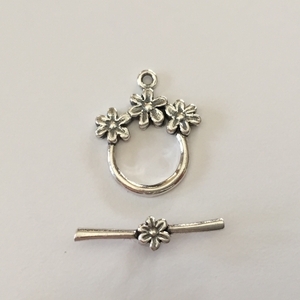 Sterling Silver Toggle with 3 flowers on the ring, and a single matching flower on the bar. 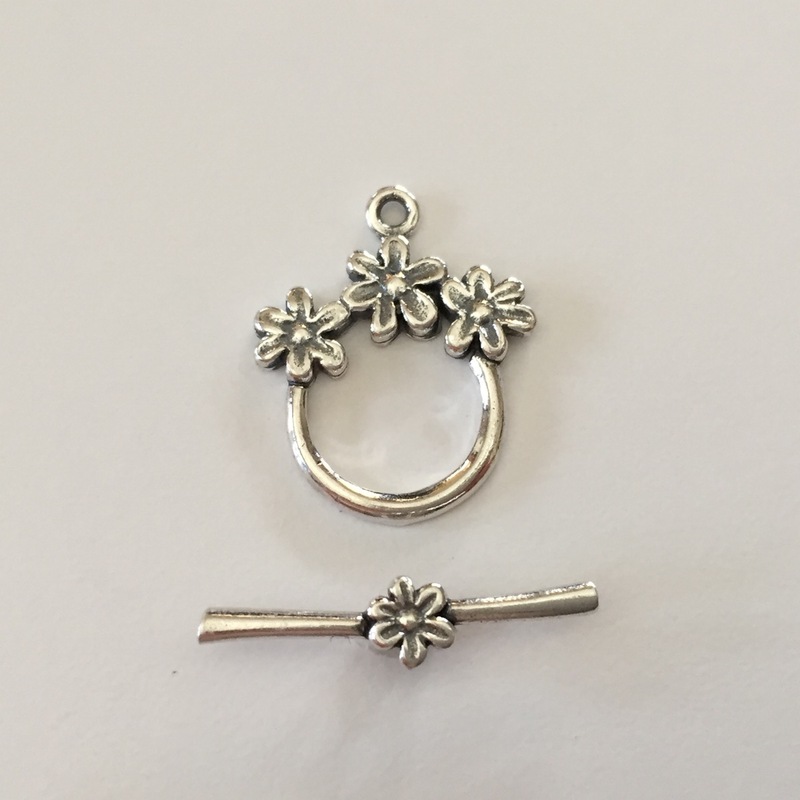 Ring measures approximately 17mm x 20mm, and bar measures approximately 21mm. Sold per 1 Toggle Set (one ring, one bar). This toggle would be beautiful on wedding jewelry, bridal, bridesmaid or mother of the bride.